15TH. A.F. COMBAT OPERATIONS CENTER BROADSIDE. HOLSTER & BELT AUTOMATIC PISTOL. SMITH & WESSON 10 INCH BARREL HOLSTER. NICELY TOOLED GUN BELT BULLET LOOPS. OLD GUN BELT BULLET LOOPS. 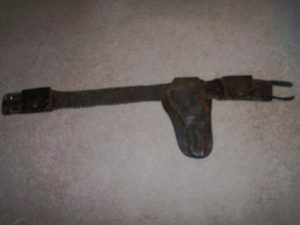 ANTIQUE GUN BELT 45 CALIBER LOOPS. ANTIQUE FLAP HOLSTER BORDER TOOLED. 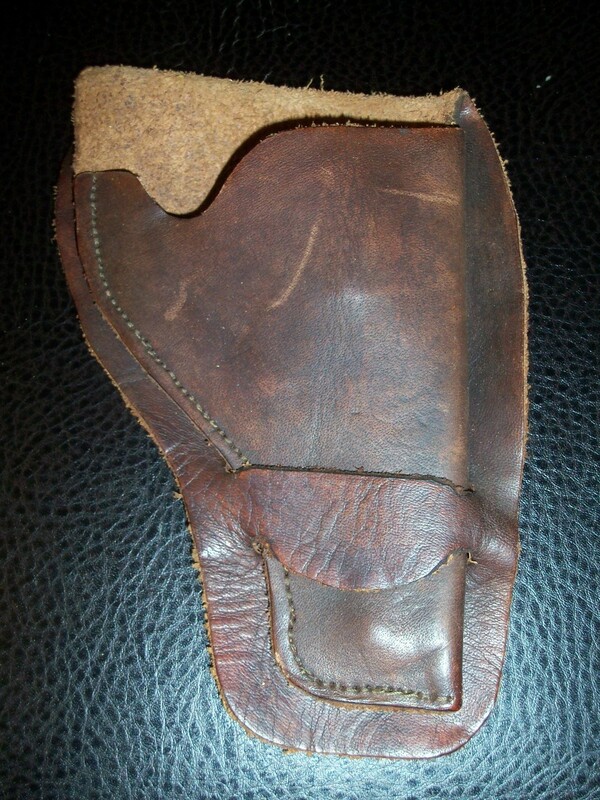 COLT SINGLE ACTION FLAP HOLSTER. COLT SINGLE ACTION HOLSTER & BELT. OLD GUN HOLSTER & BELT. USED MORMAN SHEEP WAR MOLTIT CO. COLO.
IRON 44 CALIBER 2-CAVITY BULLET MOLD. S.D. MYRES EL. PASO TEXAS HOLSTER COLT SA. RARE LONG BARREL SLIM JIM HOLSTER. FACTORY CASED 1849 COLT POCKET MODEL. 1904 ROCKISLAND ARSENAL US HOLSTER. RARE COLT SUPER 38 AUTO ENGRAVED D.W. HARRIS. ANTIQUE COLT SINGLE ACTION LOOP HOLSTER. 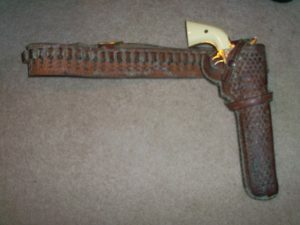 TOOLED HOLSTER COLT SINGLE ACTION. ENGRAVED BRASS POWDER HORN. CIRCA 1700’S. S.D. MYERS HOLSTER & BELT. TOOLED HOLSTER & BELT REVES. COLT SINGLE ACTION DOUBLE HOLSTER RIG. ENGRAVED HORSE & RIDER FLAP HOLSTER 1860 COLT ARMY. COLT SINGLE ACTION SHOULDER HOLSTER. WILD WEST FRINGED HOLSTER & BELT. 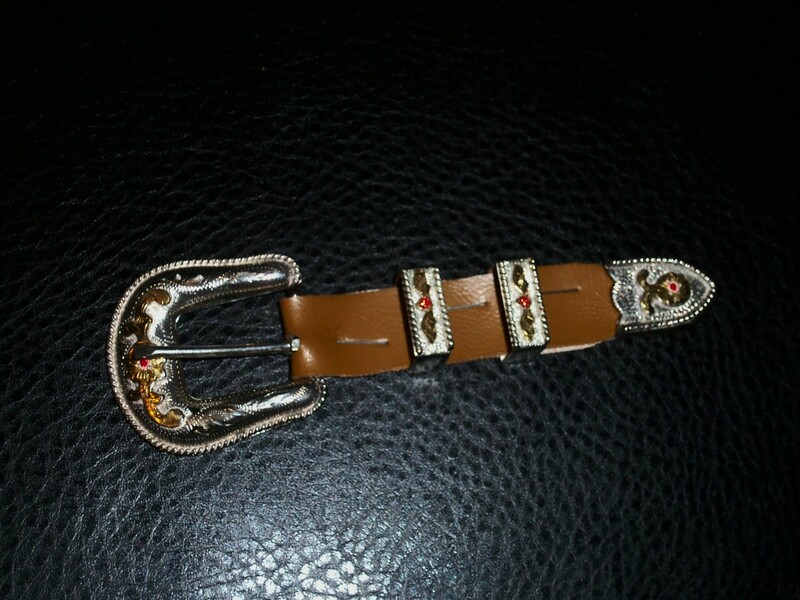 CROSSED REVOLVERS BUCKLE NICE. CIRCA 1700’S BRASS POWDER HORN. QUICK DRAW HOLSTER COLT SA. MOTHER OF PEARL COLT SINGLE ACTION GRIPS. COLT BULLET MOLD 1860 COLT ARMY. INDIAN WARS US HOLSTER & BELT. SHERIFF OLNEY ARREST WARRANT TOMBSTONE ARIZONA. LEECH & RIGDON CONFEDERATE REVOLVER. OLD BOOK TO CONCEAL PISTOL. ARVO OJALA HOLLYWOOD COLT SA HOLSTER. OLD WEST DOUBLE HOLSTER RIG. BOHLIN HOLLYWOOD CA. DOUBLE HOLSTER RIG. COWBOY RIDING HORSE ENGRAVED FLAP HOLSTER COLT SINGLE ACTION. FACTORY ENGRAVED REMINGTON RIDER & HOLSTER. APACHE WARRIOR 7TH CAV. TOBACCO TIN. COPPER ARMBAND FOUND LITTLE BIG HORN. ADVERTISING WESTERN CARTRIDGE CO. SUPER-X-X.PERT. HOLSTER & BELT GUN RIG. SPEED LOADER CAP & BALL REVOLVER. DUG MODEL 1881 LIGHT WEIGHT RIFLE. INDIAN WARS SWORD BELT HANGER. DOUBLE LOOP HOLSTER COLT SA. CONNECTICUT ARMS BULLDOG. KILLED WILD BILL HICKOK. FULL BOX SEALED ANTIQUE WESTERN CARTRIDGE COMPANY 38 S&W. COLT LIGHTING REVOLVER HOLSTER & BELT. WINCHESTER 351 CALIBER BULLETS OLD BANK BAG. DOUBLE HOLSTER RIG COLT SA.